I recently co-authored an op-ed in the Bangor Daily Times entitled “’Disaster’ Funds Must be Used to Improve Groundfishing in the Long Term,” in which we discussed the importance of thinking about both the short and long term challenges facing the New England groundfishery. 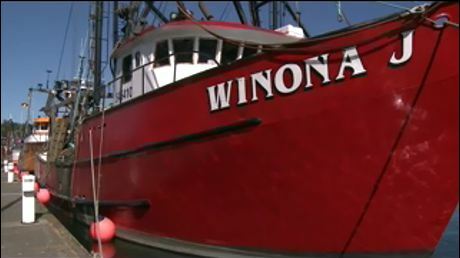 The Obama Administration recently declared the fishery a federal disaster. The deep decline in the numbers of cod and other groundfish in New England waters has created this critical need to help local fishermen and fishing communities. But any support to the fishing industry needs to be more than a simple transfer of money. We need to ensure that there are fish for the fishermen to catch in years to come. By making smart investments now, we can do more than help fishermen through this crisis. We can take care of fundamental needs to provide assurance against potential future disasters. The op-ed outlines several steps that can be taken to ensure that these ‘disaster’ funds are utilized for the long term health and survival of NE fishermen, coastal communities and the fish that sustain them. Read my full op-ed in the Bangor Daily Times or in the New Bedford Standard Times. “This is a really big deal,” said Will Stelle in a Sunday Seattle Times story which highlights the benefits of the groundfish catch share program on the West Coast. 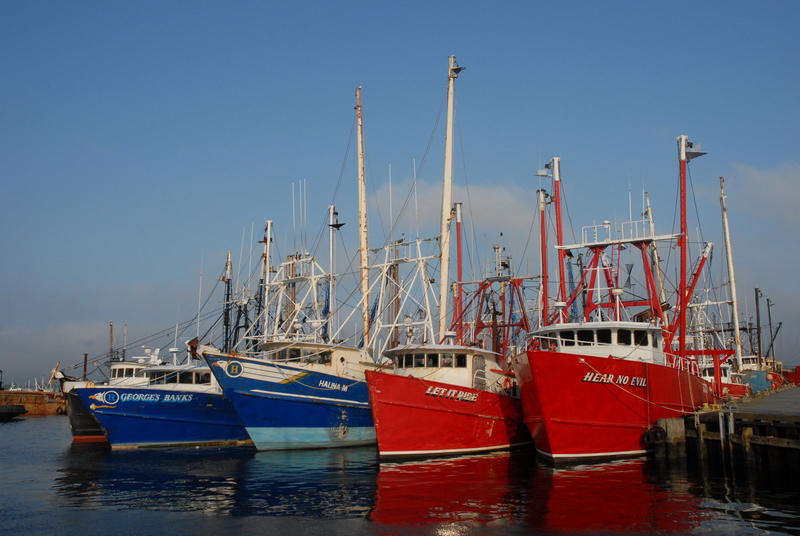 “It is restructuring the architecture of the fishery, building in very real and powerful incentives to do the right thing,” said the Northwest regional administrator for the National Marine Fisheries Service. The article cites several benefits that West Coast fishermen are seeing, including dramatic reduction of regulatory discards, fishing gear innovations and improved revenues. To read the full article, click here. As catch shares come to the West Coast, many fishermen are relieved that the end of wasted trawl bycatch is finally in sight. Under the existing “trip limit” groundfish management structure, fishermen for years have been required by regulation to shovel uncounted tons of dead fish overboard – a practice they find appalling. John Pennisi, a Monterey fisherman who will operate under the new catch shares policy after January 1st calls the shoveling of fish “immoral,” and reflects on what it was like to fish under a broken regulatory system in the Monterey County Weekly. Still, opponents have filed a lawsuit to stop the program, and in discussing their lawsuit with the media have repeatedly made unsubstantiated assertions. Brent Paine, a West Coast trawl industry leader, recently pushed back on some of those claims. 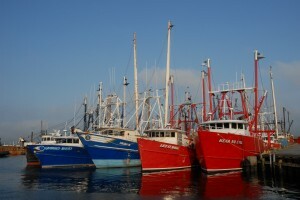 On the West Coast, catch share management of the groundfish trawl fishery will take effect on January 1, 2011. The culmination of a seven year process, catch shares represent a major shift in the ways that West Coast trawlers – and other fishery stakeholders – will conduct their business. Fishermen who will operate under the new system have benefited from hearing from their counterparts in British Columbia, where catch shares were established for the groundfish trawl fishery 13 years ago. Some of the province’s leading trawl fishermen shared their perspectives at a recent industry workshop held in Santa Rosa, CA. This type of information exchange is just one example of how West Coast fishermen are gearing up for the new program. A reporter for the Half Moon Bay Review recently talked with a few of those fishermen, including Steve Fitz. “Under the new program, there is 100 percent accountability, meaning every pound of catch is accounted for against your quota. This forces people to think of more innovative ways to be intelligent about the way they fish. 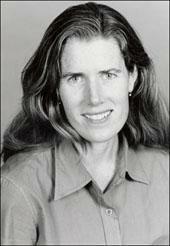 Environmentally and over the long run, this will be a good program,” says Fitz. Read the full article in the Half Moon Bay Review. 40 supported actively working to ensure implementation in 2011, while 16 preferred a delayed implementation date. There were only 17 votes in opposition to the program out of a total of 73 who responded to the poll. 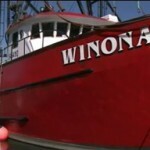 The significance of this vote is that even in the face of uncertainty about this new catch share program, the trawl fishermen of Oregon believe that the program is a significant improvement over status quo management, and a vital step to saving the groundfish fishery from its continued downward spiral. In response to questions about the upcoming change in management of the Pacific groundfish trawl fishery, the Oregon Trawl Commission (OTC) conducted a membership poll asking the Oregon fleet to respond to three questions related to support for the Pacific groundfish trawl catch shares program. This new management program has been designed to generate millions of dollars more income at the fleet level, get rid of wasteful regulatory discards, and reward those fishermen who are best able to avoid sensitive overfished species. Since Oregon has the majority of trawl fishermen of all three affected West Coast states, the poll is a good measurement of fishermen sentiment. The Oregon Trawl Commission is a state agency that works to support the trawl industry in Oregon, and is supported by assessments on all trawl-caught fish landed in Oregon.